Alhambra Handmade Cement Tiles from Badia Design Inc.
4 tiles make up one design. Badia Design’s Authentic Handcrafted Moroccan Tile displays a natural, beautiful and exotic look to your living area, kitchen, hallway, bathroom, patio or any area of your home or business. Our Moroccan Hand Painted Cement Tiles are handmade by our skilled artisans in Morocco and are given great attention to detail. They come in many different colors and designs and are enhanced by an immersion of intertwined geometric shapes and borders filled with traditional and beautiful Moroccan colors. Our Moroccan Cement Tiles can be used inside or outside on floors, walls and are suitable for patio and public areas. They are also perfect for your kitchen, bathroom, wall and backsplash. Whatever the decorating need, our Moroccan Cement Tiles are a lasting and valued choice for any home or business project. 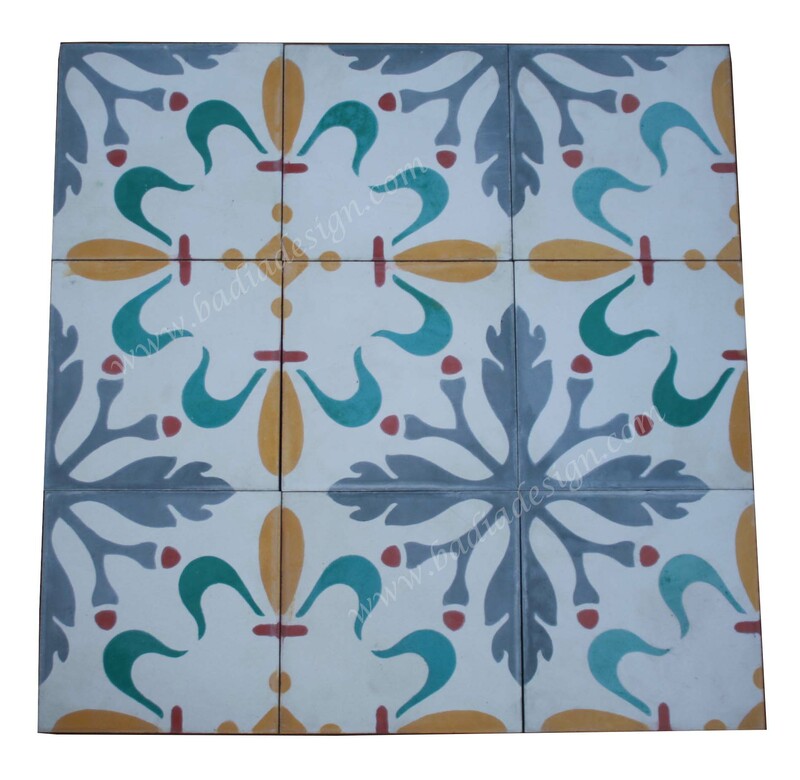 Click the button below to add the Moroccan Hand Painted Cement Tile - CT092 to your wish list.